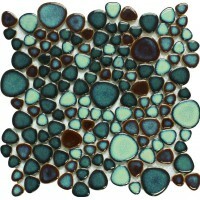 This glazed porcelain mosaic is mesh mounted on high quality fiber glass, easy installation of any mosaic tile projects. The porcelain pebble tile has a zero water absorption rate, and this tile exceeds ANSI standards for water absorption for mosaic tile. It is strong, durable, contamination free, and only the best quality tiles are used as our tiles are inspected for blemishes before shipment. Each sheet of this glazed porcelain mosaic tile is approximately 1 square feet (12 * 12 inch), and 11 sheets is about one square meter. The blue porcelain pebble mosaic features itself with blue color and heart shaped patterns. It is with 298mmx298mm overall size and 6mm thickness. 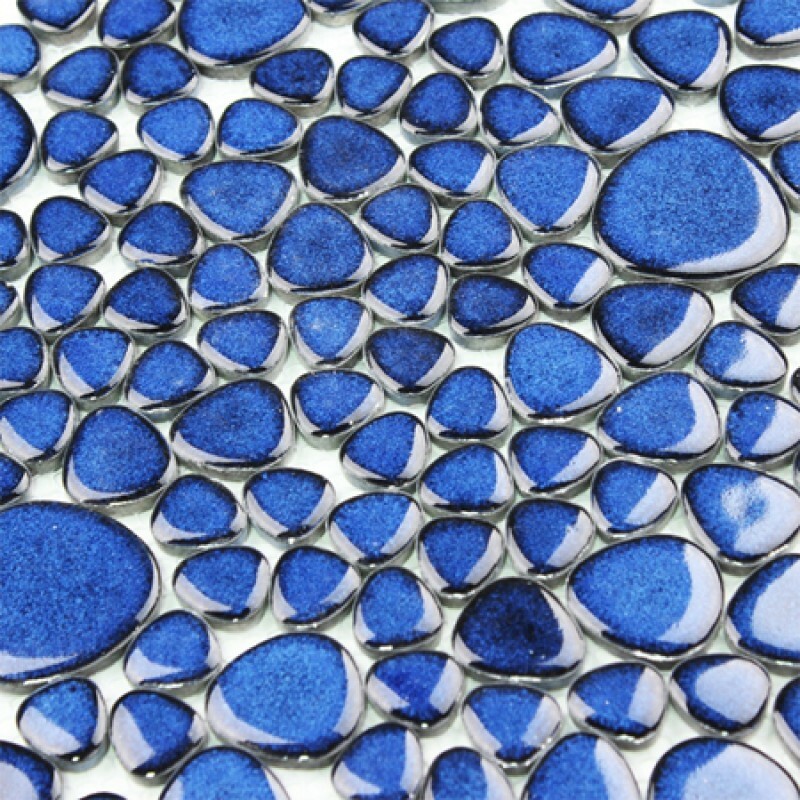 It is perfect as kitchen backsplash, accent tile, mirror frame tile, bathroom wall tile, swimming pool and more applications. 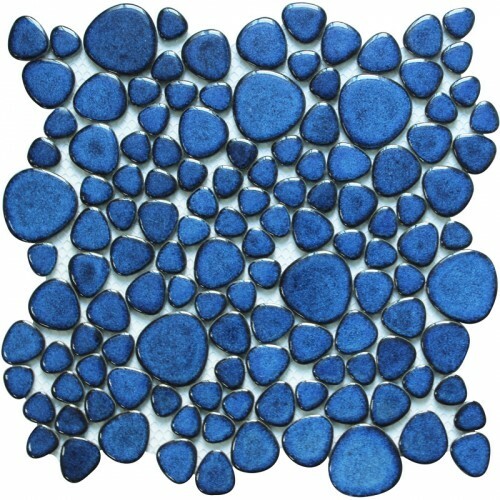 All mosaic tiles ship out from China, and we can ship to over 200 countries & regions. glazed porcelain pebble tile green kitchen backsplash cheap ceramic mosaic heart-shaped bathroom shower wall tilesSheet Size: 298x298mmChip Size: RandomThickness: 6mmShape:..